MESSAGE FOR WORLD DAY OF PRAYER FOR VOCATIONS: "THE GIFT OF THE LOVE OF GOD"
‘The source of every perfect gift is God who is Love – Deus caritas est: ‘Whoever remains in love remains in God and God in him’. Sacred Scripture tells the story of this original bond between God and man, which precedes creation itself. … We are loved by God even ‘before’ we come into existence! Moved solely by His unconditional love, He created us ‘not out of existing things’, to bring us into full communion with Him”. “The profound truth of our existence is thus contained in this surprising mystery: every creature, and in particular every human person, is the fruit of God’s thought and an act of His love, a love that is boundless, faithful and everlasting. The discovery of this reality is what truly and profoundly changes our lives”. “It is a love that is limitless and that precedes us, sustains us and calls us along the path of life, a love rooted in an absolutely free gift of God. Speaking particularly of the ministerial priesthood, my predecessor, Blessed John Paul II, stated that ‘every ministerial action … provides an incentive to grow in ever greater love and service of Jesus Christ, … a love which is always a response to the free and unsolicited love of God in Christ’. Every specific vocation is in fact born of the initiative of God; it is a gift of the Love of God! He is the One Who takes the ‘first step’, … because of the presence of His own love ‘poured out into our hearts through the Holy Spirit’. “In every age, the source of the divine call is to be found in the initiative of the infinite love of God, Who reveals Himself fully in Jesus Christ. As I wrote in my first Encyclical, Deus Caritas Est, ‘God is indeed visible in a number of ways. 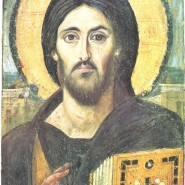 In the love-story recounted by the Bible, He comes towards us, He seeks to win our hearts, all the way to the Last Supper, to the piercing of His heart on the Cross, to His appearances after the Resurrection and to the great deeds by which, through the activity of the Apostles, He guided the nascent Church along its path'”. “The love of God is everlasting; He is faithful to Himself. … Yet the appealing beauty of this divine love, which precedes and accompanies us, needs to be proclaimed ever anew, especially to younger generations. This divine love is the hidden impulse, the motivation which never fails, even in the most difficult circumstances. … We need to open our lives to this love. It is to the perfection of the Father’s love that Jesus Christ calls us every day! The high standard of the Christian life consists in loving ‘as’ God loves; with a love that is shown in the total, faithful and fruitful gift of self”. “It is in this soil of self-offering and openness to the love of God, and as the fruit of that love, that all vocations are born and grow. By drawing from this wellspring through prayer, constant recourse to God’s word and to the Sacraments, especially the Eucharist, it becomes possible to live a life of love for our neighbours, in whom we come to perceive the face of Christ the Lord”. “These two expressions of the one divine love must be lived with a particular intensity and purity of heart by those who have decided to set out on the path of vocation discernment towards the ministerial priesthood and the consecrated life; they are its distinguishing mark. Love of God, which priests and consecrated persons are called to mirror, however imperfectly, is the motivation for answering the Lord’s call to special consecration through priestly ordination or the profession of the evangelical counsels. St. Peter’s vehement reply to the Divine Master: ‘Yes, Lord, you know that I love you’ contains the secret of a life fully given and lived out, and thus one which is deeply joyful. “The other practical expression of love, that towards our neighbour, and especially those who suffer and are in greatest need, is the decisive impulse that leads the priest and the consecrated person to be a builder of communion between people and a sower of hope. The relationship of consecrated persons, and especially of the priest, to the Christian community is vital and becomes a fundamental dimension of their affectivity”. 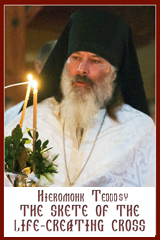 “Dear brother bishops, dear priests, deacons, consecrated men and women, catechists, pastoral workers and all of you who are engaged in the field of educating young people: I fervently exhort you to pay close attention to those members of parish communities, associations and ecclesial movements who sense a call to the priesthood or to a special consecration. It is important for the Church to create the conditions that will permit many young people to say ‘yes’ in generous response to God’s loving call. “The task of fostering vocations will be to provide helpful guidance and direction along the way. Central to this should be love of God’s word nourished by a growing familiarity with Sacred Scripture, and attentive and unceasing prayer, both personal and in community; this will make it possible to hear God’s call amid all the voices of daily life. But above all, the Eucharist should be the heart of every vocational journey: it is here that the love of God touches us in Christ’s sacrifice. … Scripture, prayer and the Eucharist are the precious treasure enabling us to grasp the beauty of a life spent fully in service of the Kingdom. “It is my hope that the local Churches … will become places where vocations are carefully discerned and their authenticity tested, places where young men and women are offered wise and strong spiritual direction. … As a response to the demands of the new commandment of Jesus, this can find eloquent and particular realisation in Christian families, whose love is an expression of the love of Christ Who gave himself for His Church. Within the family … young people can have a wonderful experience of this self-giving love. Indeed, families are not only the privileged place for human and Christian formation; they can also be ‘the primary and most excellent seed-bed of vocations to a life of consecration to the Kingdom of God’, by helping their members to see, precisely within the family, the beauty and the importance of the priesthood and the consecrated life. May pastors and all the lay faithful always cooperate so that in the Church these ‘homes and schools of communion’ may multiply, modelled on the Holy Family of Nazareth, the harmonious reflection on earth of the life of the Most Holy Trinity”. “I cordially impart my Apostolic Blessing to all of you, … and especially those young men and women who strive to listen with a docile heart to God’s voice and are ready to respond generously and faithfully”.